Colin Loehr of CBRE Capital Market’s Debt and Structured Finance team, based in the Baltimore office, arranged the financing deal that included individual loan values ranging from $4.35 million up to $6.75 million. The Freddie Mac Small Balance Loan package is for 47 Bailey Real Estate properties in the Southeast and Northeast sections of Washington, DC. 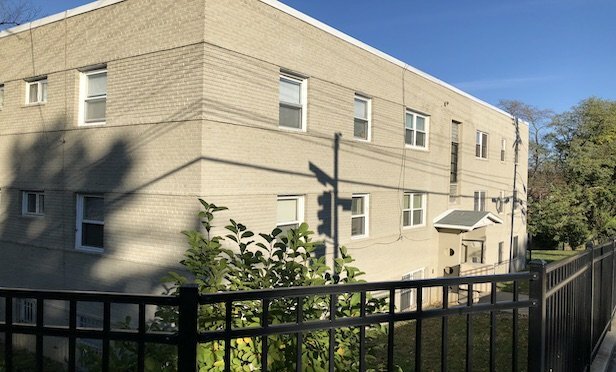 WASHINGTON, DC—Locally-based Bailey Real Estate Holdings, LLC has closed on a $35-million Freddie Mac Small Balance Loan package for a portfolio of 47 multifamily properties here.